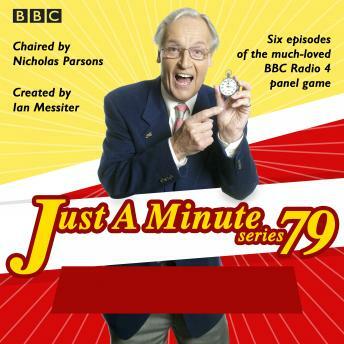 Featuring a host of household names pitted against the clock, this is a collection of 8 episodes from series 79 of Just A Minute, hosted by the charming Nicholas Parsons. With panellists including Paul Merton, Andy Hamilton, Jenny Eclair, Sheila Hancock and Phill Jupitus, this collection of highlights why Just A Minute has been entertaining generations of listeners since its first series in 1967. Can the competitors talk for one minute on a given subject without hesitation, repetition or deviation from the subject? Find out as we play Just a Minute!